Furstenhoff, a stallion who silences the critics as he moves. 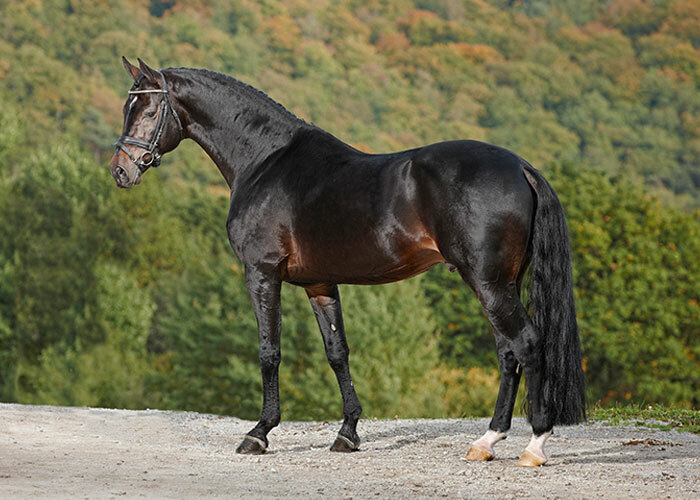 This premium stallion is elegantly built, athletic in type and the sequence of movement in his gaits is brilliant. He is the full brother to Blue Horse Fletcher who was also licensed in Verden. 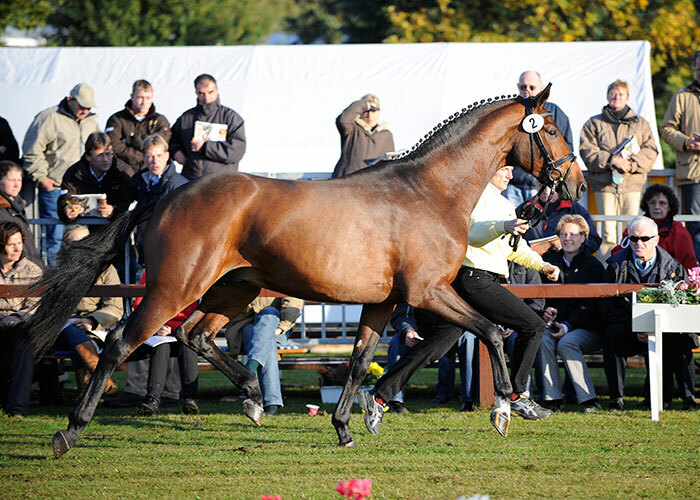 In 2013 Furstenhof showed off his athletic ability in full. 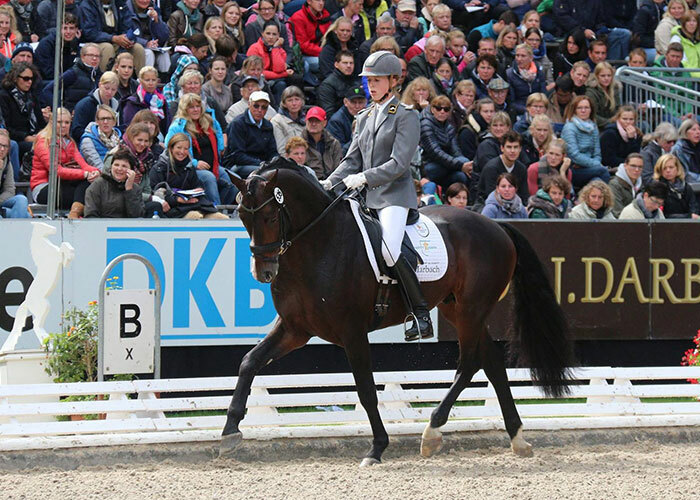 The outstanding victories in the young horse classes were crowned by his stallion performance test in Adelheidsdorf. 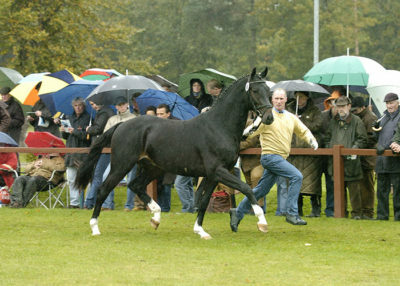 Charater and motivation, walk, trot, canter and his excellent rideability were honoured with the highest scores and brought him an HLP score of 147 for dressage. HLP 2013: Dressage 47Jumping 82.